20 sec work / 10 sec rest repeat for 16 rounds. Another 20 seconds of "work". 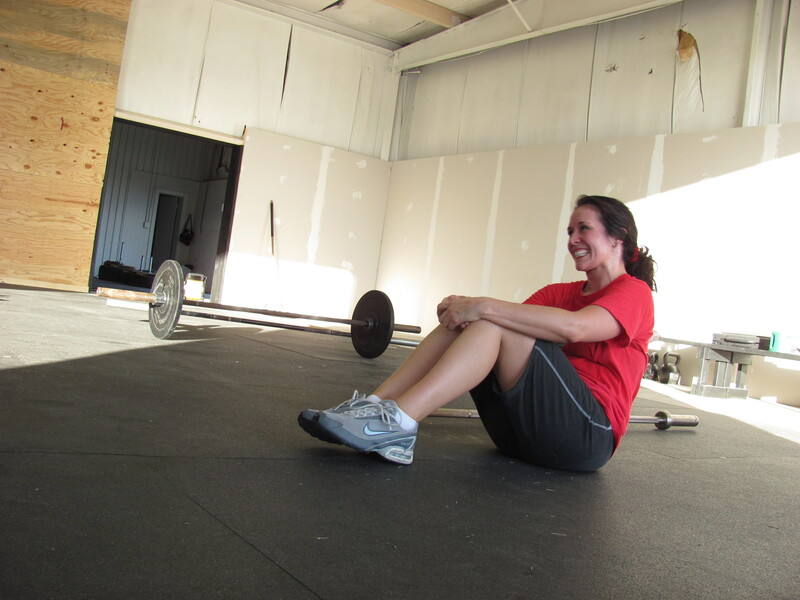 Anna, your weights just went up, there is no smiling after the WOD. 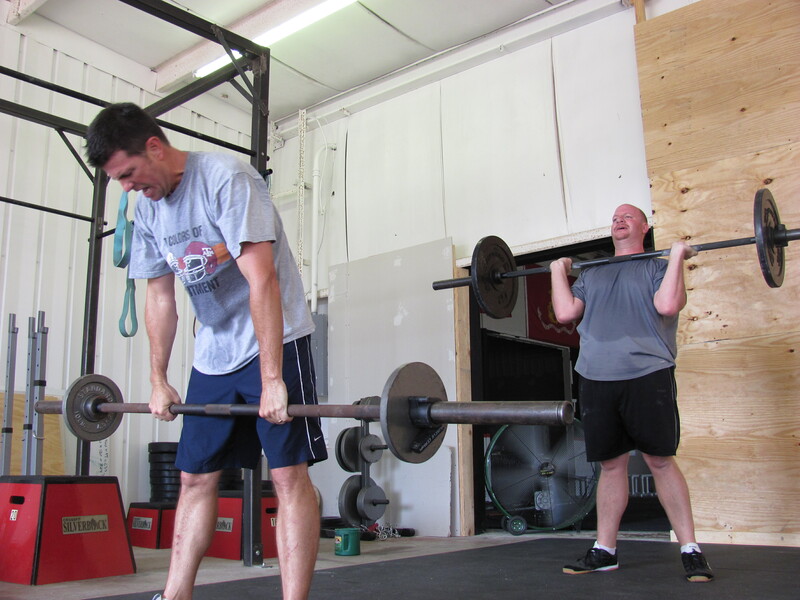 45 lb – 56 total reps – My lowest round is not worth mentioning. Why was this so dang hard?? I couldn’t decide if the thrusting or “resting” was harder! Great job Rachel and all the Girl-rillas!! 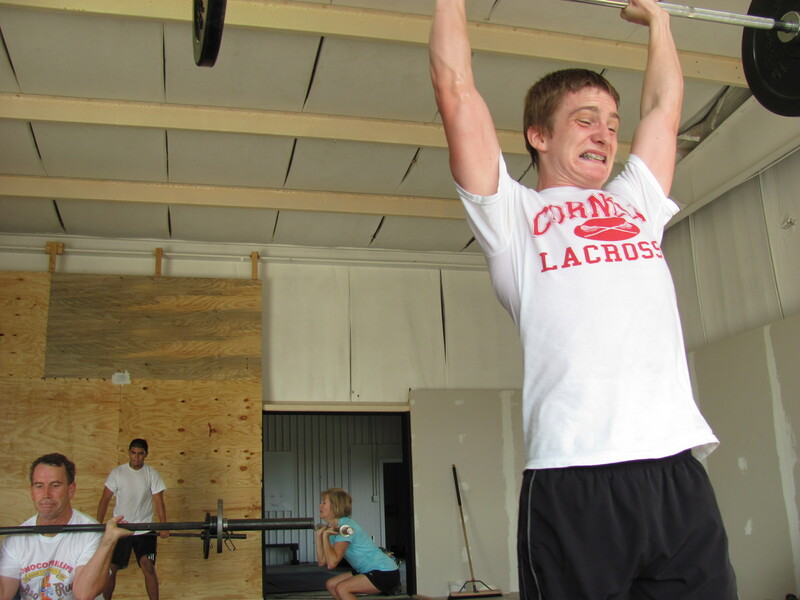 Most people would snicker at an 8 minute workout…….and most people could not have made it through that one! No matter your final count, your effort was off the charts. So proud of you girls!! Only 1?? Kind of slackin’ on the stretching, aren’t you Brad? Brad, Tim hijacked my “comments”. I did not make the previous post. If I was moving my child into university all I could do is not try and cry in front of them and bawl like a baby when I wasn’t with them. Safe trip back. Used purple band except mountain climbers used terq WOD I could not keep count, I think 41 with 45# I did not put the bar down. Max was 6 lowest was 2 very tough after the week. Great job everyone. Good luck this weeken Zak and Vallerie. Thursdays WOD killed my arms. Did the WOD with 75# highest was 7 lowest was 3. Matt, I woulda stayed and “manned” the stop watch for ya!!! and Thank you Corrie… will keep peeps posted…. Is it just me or should the words ‘Thruster’ and ‘Fun’ not be used in the same sentence?? ?